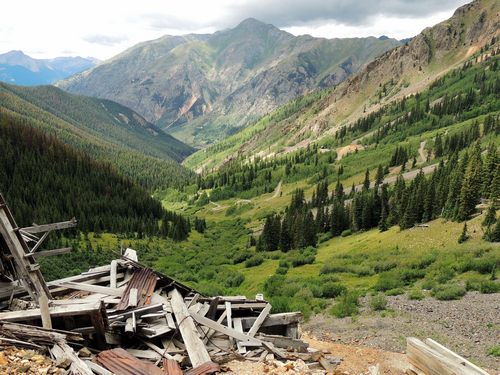 Two easy Jeep trails close to Silverton. Very easy, but also very enjoyable. 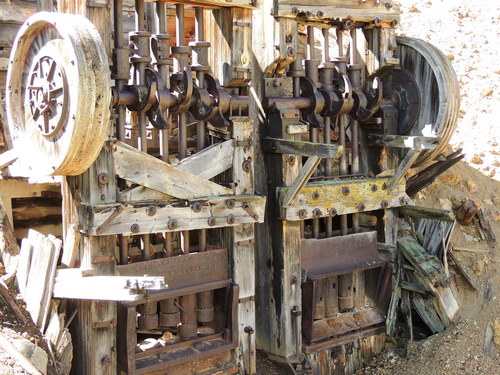 Drive to the end of the lower trail in Maggie Gulch to see the remnants of a 10-stamp mill. This mill is lower than the road so you have to look around. 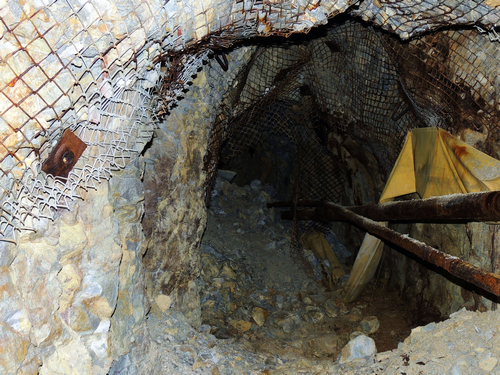 The end of the Maggie upper trail has a mine with a bit of air hose still hanging in the tunnel. 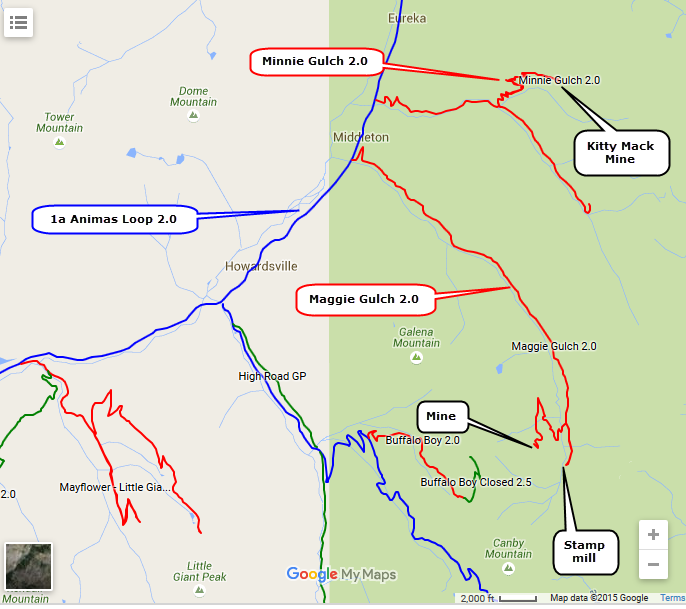 The north spur in Minnie Gulch ends at the Kitti Mack Mine.